The 2018 Gul GP14 World Championship will be taking place at Mount’s Bay Sailing club in Cornwall between the 28th July and 3rd August where up to 120 boats are expected to compete. The event will feature Sailing Southwest’s market leading and innovative TRACACE GPS Tracking System to provide race tracking and monitoring. The championships are set to be a huge event with 120 boats expected to arrive on the South Cornwall Coast to take part in this exciting, competitive but friendly event. Some of the best amateur dinghy sailors in the country are expected to attend the GP14 Worlds in Penzance, Cornwall. Sailing Southwest are providing GPS boat tracking for the entire fleet of between 120 and 130 boats. The TRACACE system uses small GPS trackers on the boats which send position, course and speed and other race metrics to the tracking platform using GeoSIMs GlobalM2MSIM Global Sim Cards. 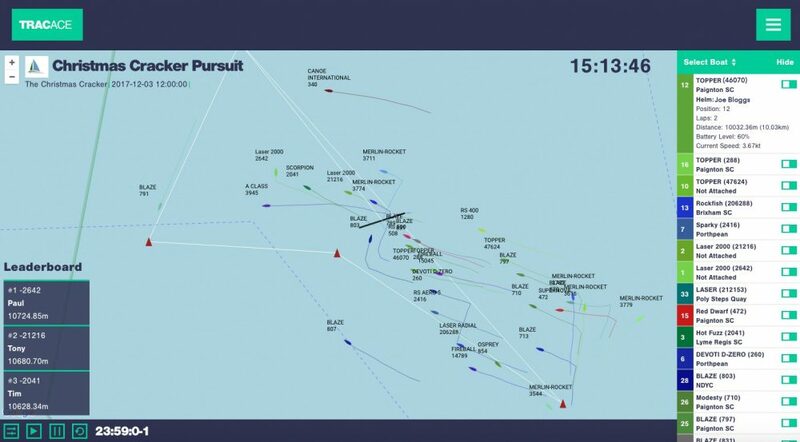 Each boats position is shown on the TRACACE platform. The display also provides statistics, feedback on tactics and positioning and can also replays previous races. Race management can also monitoring the safety of the crew and boats out in the bay. You can watch the races as they unfold from the 28th July, by visiting www.tracace.co.uk and clicking on the GP14 World Championships link. We wish all competitors good luck and fair winds!